Born and raised in Detroit Lakes, MN, Dr. Johnson graduated high school in 1978. He holds an Associate of Arts Degree from Minnesota State University Moorhead. His background in health care began with a Certification in Massage Therapy from the Rocky Mountain Healing Arts Institute/Boulder School of Massage Therapy. His education continued at the University of Minnesota Twin Cities and Northwestern Health Sciences University College of Chiropractic culminating in his Doctorate in 1989. After licensure in 1990 he started Johnson Chiropractic Clinic (later to become Johnson Natural Health Care). 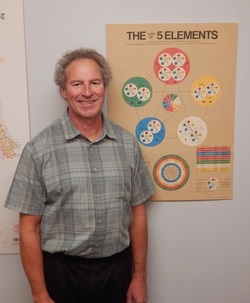 His education continued, earning his certification in Acupuncture from Logan College of Chiropractic in 1993 and certification from the International College of Applied Kinesiology (ICAK) in 1995. During 25+ years of practice, Dr. Johnson has had the good fortune to learn and study with many leaders of the natural health professions in North America. The list includes several Diplomates in the ICAK and top educators in Acupuncture and Functional Medicine and Nutrition. This broad background has become the foundation of Dr. Johnson's whole person approach to patient treatment. Whether neck pain or knee pain, sciatic or sinus, headaches or hamstrings, Dr. Johnson looks for the underlying factors that, when addressed naturally, often yield the best long term results.